Today is International Podcast Day (yes, for real) and it’s also the day Slowly Becoming Canadian The Podcast becomes available on iTunes. Click on the link below and you’ll be redirected. You’ll have access to all the episodes. And if you subscribe, they’ll be automatically downloaded to your library. If you enjoy it, please rate and/or review it! If you don’t speak French, chances are you didn’t watch the French debate “Le Débat des Chefs”. 1. The debate is in French, so your name will be pronounced as a French name. 2. His name is not Mülker! 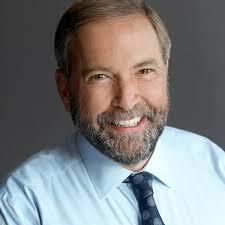 It’s Mulcair! 6. French mayhem!! Tout le monde parle! 8. 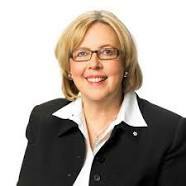 Reassuring fact: Leaders can talk for 2 minutes and say nothing in French, too. 9. This debate looks more like a debate in France: everybody talks at the same time and tries to speak louder than everyone else. 10. This is a French debate, so let’s make it about Quebec. Forget about the rest of the francophones. 12. “Moderateur” is apparently the French word for “I am useless”. 13. Elizabeth is talking about aboriginal women when asked about the niqab. Did she understand what they were talking about or just decided to talk about something completely different? 14. It’s not easy to make promises in French when it’s not your first language. 15. Who’s this M. Mülker they keep talking about? 16. Refering to Jean Coutu. This one is obviously not for you francophones from outside Québec. 17. 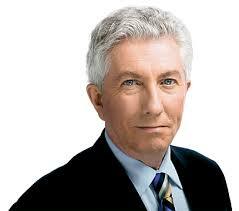 Gilles Duceppe is here to remind you of Quebec. Don’t forget: Je me souviens. 18. – You have 5 seconds. Madame May. – Time’s up, thank you Madame May. 19. Debating in your second language is very hard and very frustrating. 20. Elizabeth’s French isn’t bad. It’s just hard for her to jump into the conversation. Spontaneity will come with practice, keep practicing, Liz! 21. Journalist apologized to kids – as if kids were watching this – for using the word “dégoutés” (disgusted). I think that’s okay, monsieur. 22. Gilles just dropped the M word: la monarchie. 23. 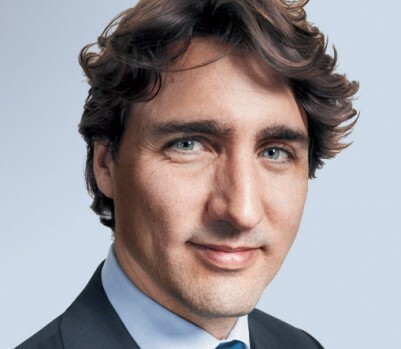 Justin just remembered it’s actually easy for him to speak French. He suddenly sounds more confident and passionate. 24. 1h07 into the debate: French and English languages are used to oppose different parts of the country. 25. French isn’t Harper’s and May’s first language and they’re getting tired because they have to concentrate harder than the others. So now, they’re talking less. 26. They’re now talking about the environment. Elizabeth, this is your field. I hope you did your French homework. 27. 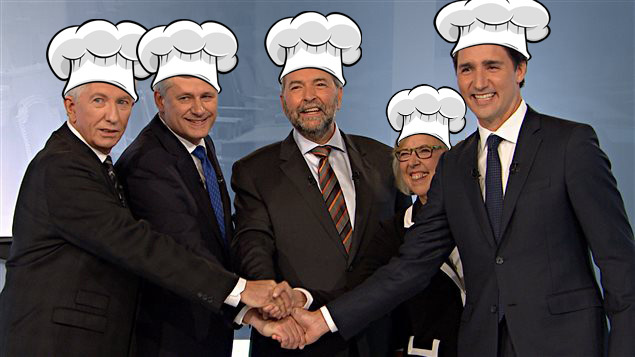 Fun fact: Leaders nod with disdain in French the same way they do in English. 29. “Québec” might be tonight’s most-used word. 30. Harper’s body language is the same whether he’s speaking French or English, which is not the case for everybody using a second language. Psycholinguistics shows it’s usually a sign of confidence. 31. First “faux-ami” of the night- used by May: “actuellement” doesn’t mean “actually”. 32. Harper’s accent is getting weirder and weirder. I’ve been there, it’s normal when you’re not used to speak another language. But his accent is really weird, almost Russian sometimes. You made some progress. Join a conversation class and practice spontaneity. You obvio usly paid attention in French class. Now, work on your prononciation because you sound kind of weird. Hesitations on some words at the beginning but after a while you remembered you grew up speaking French. French or English, that’s not a problem for you. Bien joué! Obviously, no issue with the language. Just remember, you can speak French with non-quebecers, too. We also play “Real place in Canada or something I just made up”. Find out if Nottawa, ON and Climax, SK are real Canadian towns! North American sports are all very confusing to me and I’m always lost when people talk about them. I sat down with sports connoisseur and friend, Damian Daniels, so he could help me a little. Whether you love sports or you don’t care about it, listen to this episode. You’ll learn a thing or two, laugh, and find out if me guest would pass the Canadian citizenship test.